“It’s a Thing Now.” If I had a nickel for every time I’ve said those words in the last few months, I’d have a big stack of nickels. It would not, however, be a big enough stack to equal the scholarship my son is receiving to play video games in college. My son will be entering the University of Missouri for the Fall 2019 semester as a member of their inaugural esports program. He will be playing on their Overwatch team. Over the past year, I have evolved from telling him to spend less time playing games to realizing he’s part of something very big. Something that may, in fact, turn out to be huge. Here are some things I’ve learned and observed. Esports is getting bigger and gaining traction. From what I’ve seen, it will be huge. It wasn’t that long ago I had a sit-down conversation with my son about how much time he was spending playing games. I literally said, “Spending time studying for the SAT will help pay for college. Gaming won’t do anything.” Looking back, I feel like I was a parent of a future baseball Hall of Famer in the 1910’s saying, “Don’t sign that Yankees contract. You’ll never have a career playing a stupid game.” It seems silly to think about how the parents of future baseball stars might have discouraged their kids from playing professional baseball. They just didn’t get it. Neither did I at first. It was early 2018 when I started changing my mind. A few things happened. First, the professional Overwatch league (OWL) began to get some mainstream coverage. Then I saw a Vice News report about the rise of esports in colleges. I began to realize, “this is a thing now”. My son played the game quite a bit, but was he any good? I couldn’t tell. I started seeking answers to a long series of questions in an attempt to figure out if he was good and if so, what prospects he might have. As my son began his senior year in high school, I investigated esports scholarships. At the time, I wasn’t impressed. I found over 200 schools with scholarship programs, but I thought only around 10 of them would be worth applying to. My son is in the top 4% of SAT and ACT scores, has good grades, four years of consistent school activities, wants to major in physics, and he even started a tutoring program to help some refugee kids retain their sports eligibility. He could attend college just about anywhere he chose. The bulk of the 200+ esports scholarship programs are at smaller regional colleges. He could get the bulk of his expenses at these schools paid for based on his grades and test scores alone. As parents, we want more and better options for our kids, and many of these schools don’t even offer a degree in physics, much less access to graduate programs. After careful consideration, we chose to focus our attention on our state colleges, several safety options, and a few “reach” schools. I could be wrong about the top .0003. Blizzard, the maker of Overwatch, says there are 45 million Overwatch players worldwide. They divide them into three regions – North America, Europe and Asia. Each region has a top 500. It’s my best calculation. The Grandmaster and Top 500 tiers feature professional players in OWL, players on Overwatch Contenders teams, players on existing college teams, and everyone else. How many in the Top 500 are high school seniors? I don’t know. Statistically speaking, it can’t be that many. My son made Top 500 after season 13. Only then did I understand exactly how good he is. Over the course of his senior year, I kept an eye on the collegiate esports scene. The easiest way to do this was setting up a Google Alert for college esports. Ohio State, Missouri, and Marquette were some big-name schools starting esports programs, and there are constant rumblings and rumors about other schools following suit. From a school’s perspective, there’s one big question – Where does an esports program belong? The athletic department? Student Affairs? Residential Life? From what I’ve seen, the bulk of programs are run out of either student affairs or residential life. Athletic departments seem to have all the power at most schools, but so far they don’t want to touch esports. I can’t say for certain whether this is good thing or not. On the one hand, athletic departments have the funding and manpower resources. However, most athletic departments also have a culture dominated by NCAA regulations. I’m not a fan of NCAA rules or their selective enforcement. I like the idea of student affairs and residential life running the esports programs for now. They tend to make decisions that encourage esports and the players as opposed to gaining power for themselves. Speaking of the NCAA, what are the governing bodies of esports? The National Association of Collegiate Esports (NACE) and Tespa (formerly Texas eSports Association) are running the show. 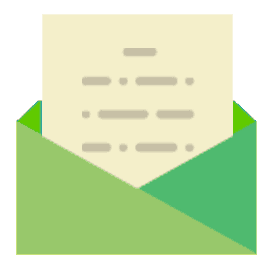 When a college starts offering scholarships, they join the NACE. Tespa was founded to support the club teams at the universities and give them a vehicle to play each other. NACE teams play Tespa teams on a regular basis. What tournaments matter and how often they play is an evolving topic. ESPN has recently announced they are sponsoring the College Esports Championship. I’m not sure how they have the authority to declare a national champion, but based on the response from the esports community, everyone seems to approve. The Championship appears to be a good idea, and having ESPN on-board looks like a step in the right direction. Esports Recruiting is very early in the life cycle. Right now, there is no good way for schools to identify who the good players are. For example, they can’t look at the Top 500 leaderboard and identify who is a high school senior. 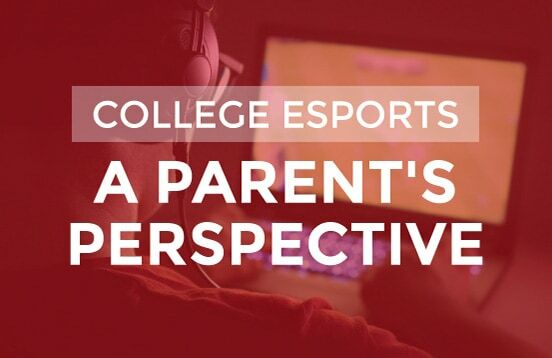 There are groups like Next College Student Athlete (NCSA) that have a history of working with more traditional student athletes, and NCSA is getting into esports. For around $2500, they will market you to the 200+ esports programs. If you are a marginal student and good at esports, this could be a good option. It wasn’t for us. For each of the 10 schools we considered applying to, I found and reached out to the head of the esports program. It wasn’t difficult to find this information, but I soon learned that they weren’t actively recruiting outside students. Instead, they rely on students coming to them or they pull players from the existing student body, mainly from the club teams. They all expressed a desire to recruit players, but none of them had evolved to that point yet. I recently listened to a podcast interview with Mark Cuban. He was asked if he would “Buy, Sell or Hold” on esports and the NFL. Cuban replied he would “Sell” the NFL and “Buy” esports. He described his many investments in esports and even talked at length about how his kids are more into Fortnite than traditional sports. He and his kids are not alone. Younger consumers are watching gamers stream on Twitch and YouTube more than they watch the NBA, NFL or MLB. The average viewer age for traditional sports is getting older and older, while the golden 18-30 demographic is moving to esports. Several esports championships have already had more viewers than the NBA Finals or the World Series, and esports viewership is quickly catching up to the NFL. How much longer will it be before games like Overwatch are monetized to the same degree as traditional sports? Bottom line – traditional sports are losing viewers to esports at a record pace. Traditional sports need those TV contracts to keep the big money. If they aren’t getting the eyeballs, eventually sponsorships will flow to where those eyeballs are: esports. My son met a few local individuals from the esports scene, one of whom is very focused on a career in esports. He started his own conversation with the University of Missouri and reached out to my son. A few conversations later, and we were on a plane so my son could sign a letter of intent. At first, it didn’t seem like he was going to play Overwatch for a collegiate team. We both had the mindset that “it’s just not there yet,” but college esports quickly caught up. Having a Division 1 SEC school throw its support behind a program spoke volumes to us. Missouri is a good school and will provide him with multiple options, both academically and professionally. The positives for him are many. In the end, it was his choice. He’s excited about Missouri. He’s excited about playing on an inaugural esports team. He’s excited about his second Top 500 finish. He’s excited about playing on a team where the average peak SR is 4396. As a parent, I’m ecstatic he has something he is excited and passionate about. There is no shortage of people in my age group who just don’t get it and still look at it as simply “playing games”. It’s funny to me how some of these same people spent thousands of dollars on baseball lessons for their kids. I’ve always been one to embrace the different and new, and I’m glad my son does the same. If you have questions about your kids and eSports, scholarship opportunities or general eSports issues, feel free to reach out to me.